Ms. Melissa training to be Program Admin & is the director at Country Acres. She's been in the child care industry for over 20 years & has devoted her adult life to loving on & teaching children. Melissa holds an Associate Credential from the Council of Professional Recognition for Infants & Toddlers and has nearly completed her degree in Early Childhood. She has 3 children of her own. Ms. Kim is the Director & Pre-K teacher at Tyler Rd. She oversees our curriculum planning including finding new & exciting ways to introduce new concepts to our kids. She has been teaching for over 19 years and takes her role of kindergarten readiness very seriously. She loves watching children master new skills. Kim is the mother of 2 and enjoys reading, baking, & watching movies. Ms. Ashley is the assistant director and Pre-K teacher at Country Acres. She has been working with kids in an educational setting since 2014 and is working toward her degree in Early Childhood Education. Ashley’s favorite part of working with children is being a part of their growth and achievements. Ms. Jade is the Lead Toddler teacher at Tyler Road. What started out as babysitting for family and friends quickly transpired into a love for children and watching them conquer new skills and milestones. Jade has taken formal Early Childhood education courses and is in love with her new profession. It’s not work when you love what you are doing. Ms. Bethanne is the Lead Toddler II teacher at Country Acres. She’s been working with children for 5 years & loves watching them learn through play & exploration; she is passionate about helping younger generations succeed in learning. Miss Bethanne is looking into ECC classes to further her education to provide the best service to the children in her care. Ms. Donette is the Lead Infant teacher at Tyler Road & has been in the child care industry for over 21 years. Ms. Donette has raised 5 children of her own & chose the childcare field because she feels teaching is in her blood. Her father gave her a Phonics book as a child that she would take & play school with her neighbors she’s been hooked ever since. Ms. Amy is the Toddler I teacher at Country Acres. She has 3 sons and originally chose early education to be able to spend time with her family. Ms. Amy ran multiple highly rated military daycares for 17 years; she had one in California, Hawaii, Guam and North Carolina. 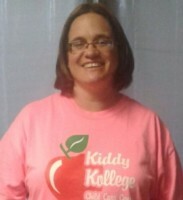 She recently moved to Kansas and joined the Kiddy Kollege team. Mr. Tony floats between all locations and takes care of maintenance. Tony is also our part time transportation bus driver and cook. 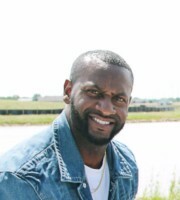 In his free time, Tony is a volunteer coach for youth basketball and is beloved by all children for his sense of humor. Ms. Mandy is our Pre-K teacher in Derby. Please check back for a bio for her soon. 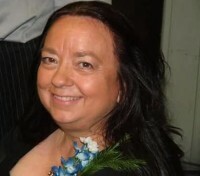 Ms. Dianne is one of our floaters and has been working with children for over 25 years. She currently holds her CDA for Infants & Toddlers and has a degree in Art and enjoys doing projects with children. She loves watching kids create masterpieces and learn through creativity. Ms. Hayleigh is the Lead infant teacher at country acres. 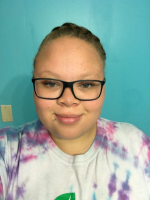 She is currently working towards her degree in early education and has always had a love for working with children and enjoys the many milestones she gets to witness and contribute to in the infant room. Ms. Jamie is the director at Derby and has been in early childhood since 1997. She enjoys going to trainings and learning from other teachers and now teaching new employees the ropes. She feels the best part of working with children is being able to watch the grow and smile, she also loves seeing previous families and catching up with them. Jamie is qualified to supervise care for upto 100 children. Ms. Morgan is our Infant Assistant and floater at Country Acres. 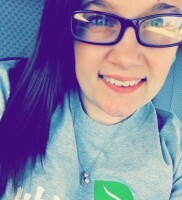 Ms. Morgan has began babysitting at the age of 13 and fell in love with being around children. She began working in her church nursery in 2010 and is currently pursuing a degree in Early Childhood education. Ms. Pam is the Infant assistant and floater in Derby. She has worked in child care for over 20 years as both a teacher and cook. Ms. Pam has 2 children and 4 grandchildren and enjoys watching children play and learning from children. Her favorite thing is infant feedings, crawling, and cuddles. She says “I give and receive as much as I can from the kids”. Ms. Gwen has been a Pre-K since 1995 and is the Pre-K teacher at Country Acres. She has 4 children and 9 grandchildren. She has made early child education her career because of the joy she gets from watching the excitement on her students faces when they finally grasped a new milestone. She takes great pride in knowing she is teaching lifelong skills. Ms. Jamie is the lead infant teacher in Derby & has been working in child care for over 25 years. She began to nanny as a teen & fell in love. “I chose this field because I love children. I can’t have my own so what else better to do than take care of others children & love them like they’re my own” Ms Jamie loves teaching & being a part of a child’s journey, she says “Babies are our future”. Ms. Stacy is our older toddler/young preschool teacher at Tyler road and has been teaching early education for over 20 years. Ms. Stacy loves watching her classroom learn and grow. She has 2 children of her own, Kennedi and Willis and in her spare time I enjoy watching them play sports. 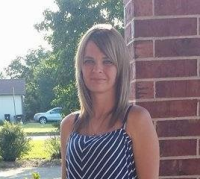 Ms. Stacy is currently attending Butler Community College to earn her associates in early childhood education. Ms. Tasha is the Lead Toddler I teacher in Derby. She has been in early education for 5 years. Her favorite thing about working with children is watching them grow & learn new things every day. She loves creating art & being silly with her kids. Ms. Tasha says the best thing about working with children is that they can teach you just as much as you can teach them. Nicole is our floater and closer at the Derby location. She is currently attending school for early childhood education. Nicole is the mother of 4 children and enjoys working with all age groups. “I am a child at heart and just love the opportunity to make learning fun”. Ms. Ruth is the preschool teacher at our Tyler Road location. She has over 20 years of experience working with every age group. Ruth grew up in a child care setting with her mother owning her own facility and has always loved being around children. Maria is our floater at the Tyler Road location. She spends many hours with the toddler classroom. Maria fell in love with the child care industry when volunteering at the East High School child development center. 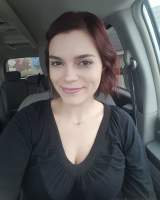 She has a three year old little brother whom she helps raise and enjoys enrichment activities such as visiting the exploration place, libraries, and parks. We are so glad to have Maria as a part of our Kiddy Kollege family! Ms. Karen is our cook for all locations. She enjoys the company of children and getting their bellies full. Karen is a competitive rowing and travels all over the country to compete. She was a pastry chef for 8 years and a personal chef for 4 years prior to working with us. Karen enjoys gardening and caring for her 3 cats. 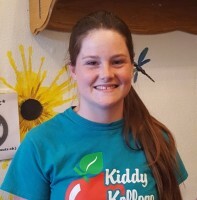 Ms. Alissa is our west Wichita floater and floats between our Tyler and Country Acre locations in all classrooms. She began her child care career as a volunteer for her church nursery and at theraplay spot which encompassed helping children with motor skill struggles. Alissa has desires to continue in early education and become a lead teacher with her own room. Ms. Jillian is an assistant toddler teacher in Derby. 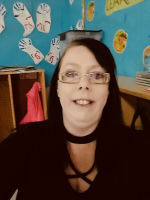 She has cared for children in both home and facility settings and loves the joy she gets from caring for children and their natural innocent humor. Jillian also feels that the greatest reward is the look of accomplishment when they conquer a milestone.